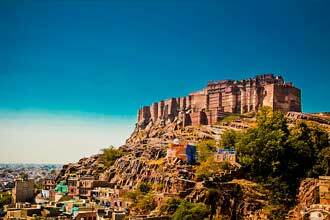 Rajasthan Tour plan package is a popular tour of Rajasthan for individuals & families. In this Rajasthan holiday tour package of 13 days, you are visiting the desert cities of Mandawa, Bikaner, Jaisalmer, the blue city of Jodhpur, the city of lakes Udaipur, the Pink city of Jaipur and the city of Taj Mahal - Agra. 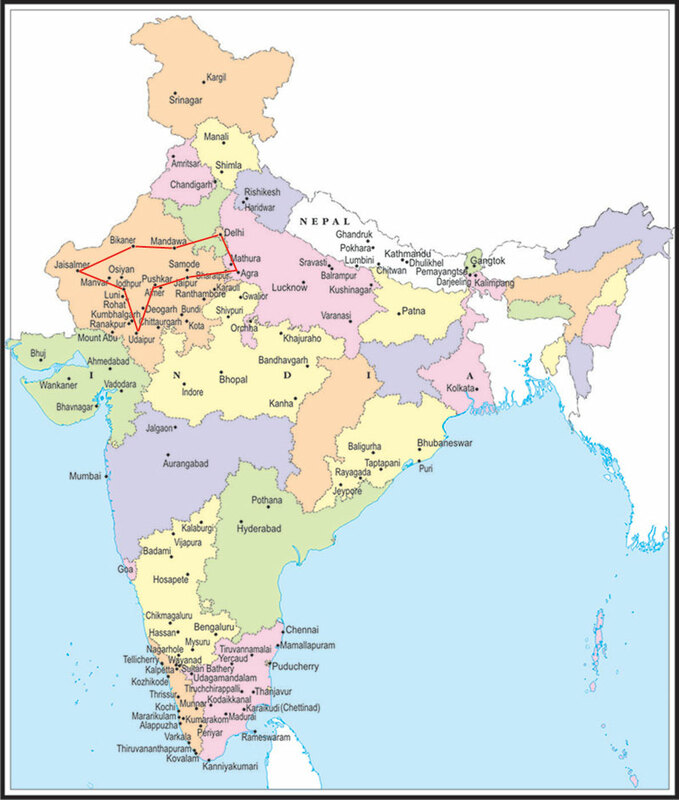 This popular tour of Rajasthan- India starts from and ends in Delhi. Services International Lufthansa City Center offers you Rajasthan tour plan from Delhi in the best way possible. Upon arrival in Delhi you shall be transferred to your hotel. You shall then have a Tour of Delhi. In Old Delhi, you shall visit Raj Ghat, the cremation site of Mahatma Gandhi, the Jama Masjid and drive past Red Fort and Chandni Chowk. In New Delhi visit the Qutub Minar, Humayun's Tomb, India Gate (War Memorial Arch), Lakshminarayan Temple - a modern Hindu Temple. Also drive past President's House, Parliament House & Government Secretariat Buildings. This morning you shall drive from Delhi to Mandawa in Rajasthan (260 Kms / 6hrs), the route is scenic and one can witness the countryside. Upon arrival at Mandawa/ Shekhavati Villages you shall check in to your hotel, late evening is at leisure. Morning visit Jaisalmer. Visit the Fort, bazzars and the old mansions known as "havelis". People still live in these ancient buildings dating from 12th to 15th century. Every house has exquisite carvings and filigreed work. Afternoon free. Overnight Jaisalmer. Morning drive to Udaipur visiting Ranakpur Temples enroute. Ranakpur - 98 kms from Udaipur, the Jain Temples built in the 15th century are situated in the lovely valley of the Aravali. Its surrounding is quiet and picturesque. Ranakpur has grand structures and beautiful sculpture. There are 1444 pillars in the temple and none of them are similar. The magic of light & shade is really awe inspiring. Surya Temple and other Jain Temples are side attractions. Overnight Udaipur . Drive to PUSHKAR. Ajmer was founded by the Chauhan ruler, Aiaipal, during the 11th century & is dominated by the Taragarh Fort built by Prithviraj Chauhan. In Pushkar, visit the holy Lake and also the famous Brahma Temple. Pushkar is one of the holiest places for Hindus. Overnight Pushkar. Morning drive to Jaipur. In Jaipur visit the Amber Fort -the ancient capital of the State. Visit the Sheesh Mahal or the Hall of Victory glittering with mirrors. Afternoon tour of Jaipur. Jaipur - the capital of Rajasthan was given a colour coat of pink a century ago in honour of a visiting Prince and ever since, it has retained this colour. Built by Maharaja Jai Singh, the notable astronomer, this city is 260 years old. Visit Maharaja's City Palace, & the Observatory . Drive past Hawa Mahal& through the pink rose residential & business areas. Overnight Jaipur. Drive to Delhi airport in time to return flight.No hotel.